without having to dig it up. Have a broken drain that needs relining in or around Woking? SaS Drainage & Groundworks have local Woking drain lining specialists on call to deal with these sorts of drain issues. There are many ways to repair broken drains, and we are specialists at drain lining and drain relining using state of the art no dig technology. Work started on agreed date and was finished sooner than I expected. Area was left clean and tidy considering they had to drill through concrete. It was almost like they were never there. Very pleased. Thank you. Arrived promptly, extremely polite and really helpful. Checked the previous history of problems, unblocked everything and did a camera check to ensure no future problems. Offered advice whilst he worked. Really super guy. No fuss, no bother, professional. Punctual, knowledgeable and professional. Good quality of work; if needed SAS Drainage and Groundworks Limited would be my preferred contractor to undertake the drainage works surveyed. Steve was really quick to sort the issue out. Arrived when he said he would and tidied up the mess. I emailed Steve one evening, he called me first thing the following day, he arranged to be here within 2 hours. He quickly found the cause of the issue, resolved it, tidied up after himself. All less than a £X as agreed. Would definitely use again. Initial CCTV survey immediate attention very informative 45 mins first day estimate for repair emailed later that day - I accepted by email. Was phoned to fix a day - very soon and convenient - arrived on time - very pleasant, helpful no mess - work appears very good. Will definitely recommend SAS to others. Very happy that blocked drain was diagnosed and cleared so promptly. Excellent family run hands on company. Communication very fast and responsive. Good diagnostic approach to problem and very satisfactory outcome. I was provided with a quote that was 20% less than two other quotes that I received. It was agreed that workmen would be in attendance within one hour and, in fact, they arrived at my house within half an hour. The reason for the blockage was swiftly identified - concrete having set following resurfacing of the driveway - and the operatives quickly got to work to put the matter right. No easy task as the concrete required chipping away - this was not helped by the fact that the back-up from the blockage was not particularly pleasant. Delighted with final result and happy to recommend. Absolutely great job, very professional, very helpful and efficient, saved us a big expense and excellent communication. I would highly recommend and will definitely use again if the need arises. Obviously too early to know how effective the drainage is. The septic tank needs to be filled first. The guys were hard working, polite and willing to discuss what they were doing. They did their best not to damage the lawn with the heavy machinery, and they left the patio cleaner than when they arrived. Steve kept me informed of changes to plan in advance. I would certainly recommend SAS Drainage and Groundworks to anybody. This was the first time I used SAS. Arrived on time. Was prompt and made no mess and solved the issue. I would definitely use this company again. Very knowledgeable and helpful, promptly calling after the work was done to thoroughly explain the issue and happy to answer all my questions. Would definitely recommend. SaS are extremely professional and I would highly recommend them. I asked several companies to inspect my external drains and provide me a report with recommendations and expected costs. SaS were the clear winner in my option. Great value for money with quality service. Very prompt, courteous and knowledgeable. Would definitely use again. Easy to book, great value, very prompt and swiftly got the job done. Also went beyond to offer advice on another potential issue discovered. More and more technology is becoming available on the market, which allows drains to be repaired without having to dig up and disturb the ground. Drain relining is the most common type of no dig technology used by us in the Woking area. Drain relining consists of impregnating a polyester sleeve with resin and inserting it into the drain covering any cracks, holes, mis-aligned joints and entry points for roots. Then using air inversion or water inversion we inflate the sleeve. The sleeve will harden over a few hours and allow us to remove the inflation hose leaving you with a sealed length of pipework with no joints. You lose approx. 6mm diameter which will not affect the drain flow but you will gain effectively a new drain run. 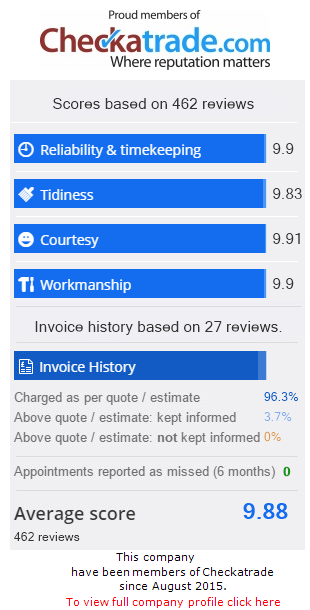 We just need a report or quote given to you we don’t need to know the price you were quoted just the recommendations and reasons why. To book a drain lining engineer in the Woking area, call SaS Drainage and Groundworks on 0800 2461701 or complete our online booking form for a quick quote. Our friendly staff are on hand all day and all night to get your drainage up and running!